Let WeddingChaos provide your fully personalised and handcrafted wedding cake topper, which will be unique to you alone. 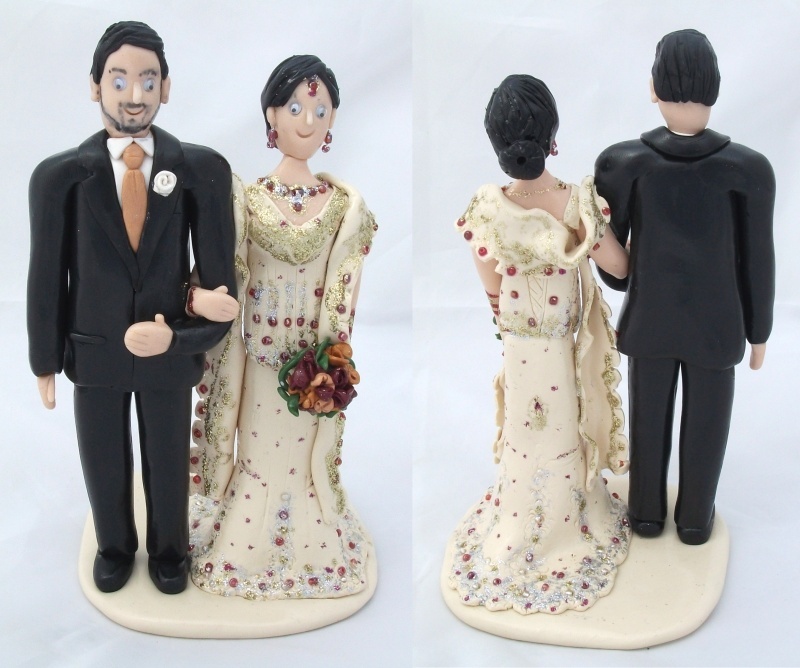 Standing from a height of 5 inches tall, these custom made figurines will be made to replicate the bride and groom, from the wedding bouquet, hair styles and the full bridal outfits. WeddingChaos understand how important your wedding day is to you both and will endeavour to get as close to matching your outfits as possible. 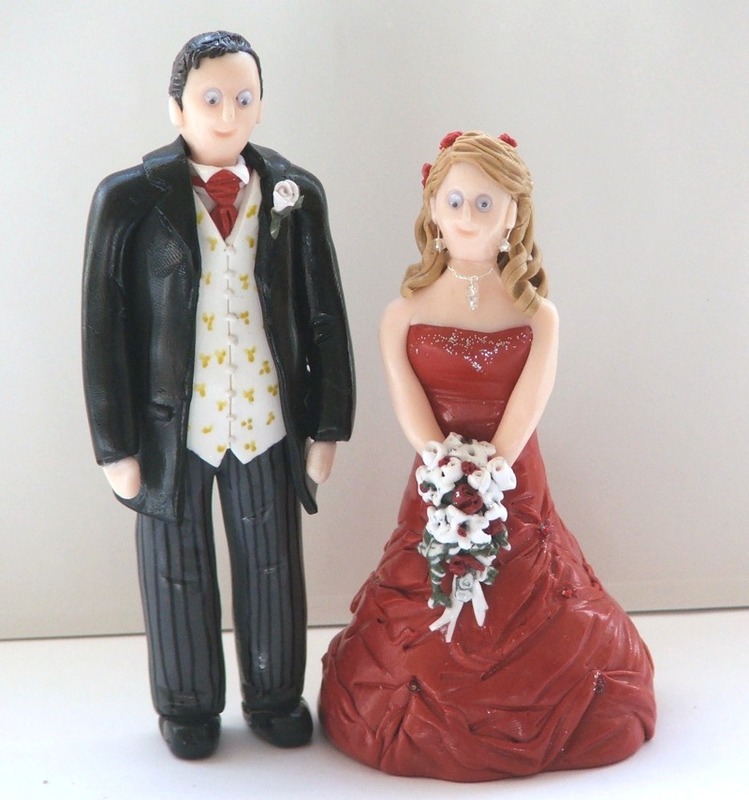 Our wedding cake toppers are hand crafted from a selection of polymer clays, which is plastic modelling material made from polyvinyl chloride (PVC) plasticizer and pigment. 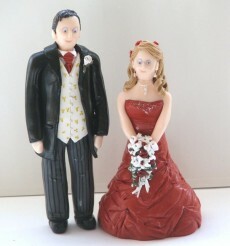 Once the clay is moulded it is baked in our specialist ovens to produce a hard finished product. 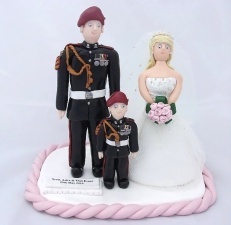 Each cake topper is unique, designed and crafted for individual requirements and as a result the time it takes to make varies from topper to topper, so whilst we can give you a guideline to prices they may vary depending on the intricacy or level of exact details required. We will always confirm the total cost in writing before starting any work. 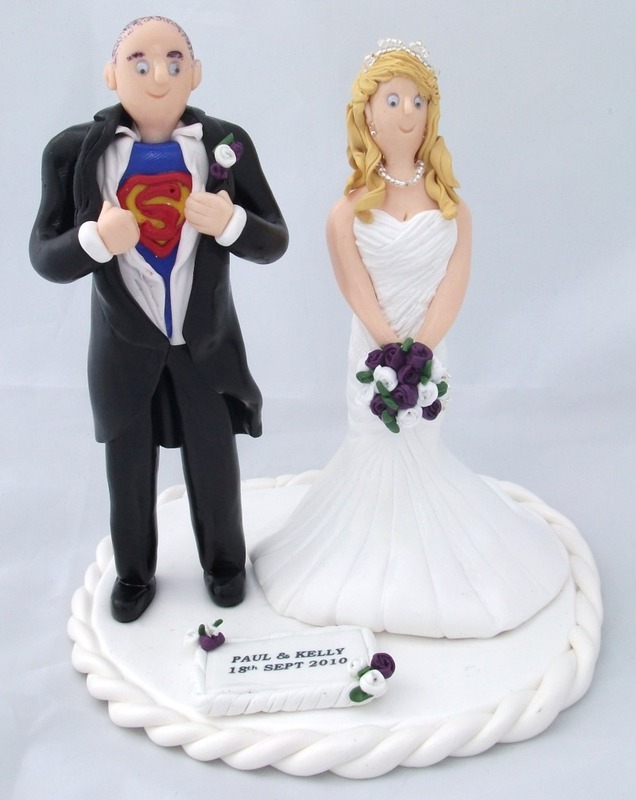 Due to the handcrafting process and level of demand, we are limited to the number of cake toppers we can make,	get in touch new at toppers@thechaoscompany.co.uk to discuss how we can make your wedding cake as individual, special and memorable as the rest of your perfect day. Once we have your enquiry we will call or email you to discuss things further. 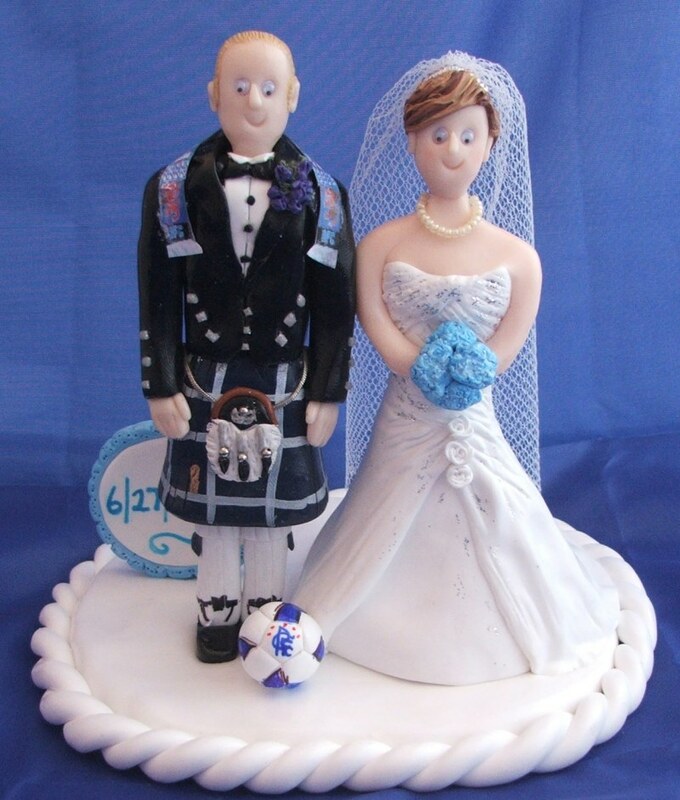 Personalised traditional wedding outfits from top and hat and tails to three piece suits, full sport kits and hobby outfits are in our Type A category cake toppers. 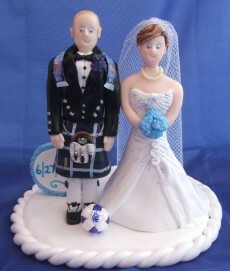 Our Type B cake toppers have more intricate details and therefore will take longer than the traditional Type A toppers. Full military uniforms, kilted grooms, Asian, Oriental and Indian Style Wedding Dresses / Costumes are all in this category. Want something a little different on your cake? 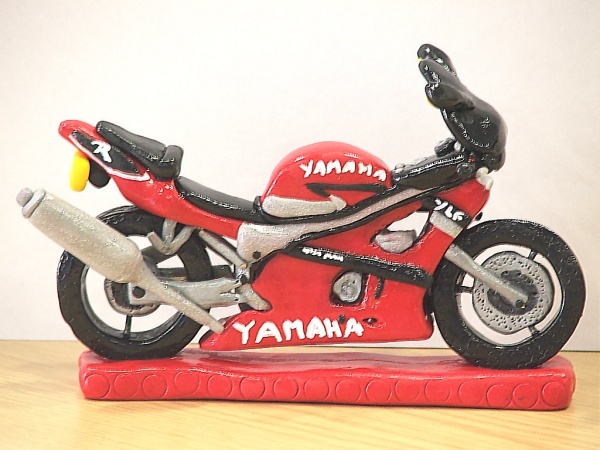 We can further personalise your topper with a variety of objects or pets! Dogs, cats, instruments - we could go on, but if you want it, we can make it! 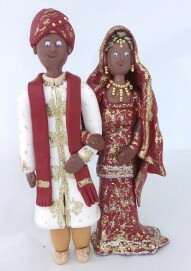 Here are some typical extra items to make your wedding cake topper even more unique! Note that these are only applicable when either Type 1 or Type 2 toppers have been ordered. 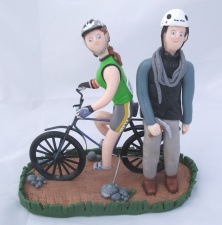 Couples can be handcrafted standing side by side, and hobby outfits also come under this category. All of the details will be copied from photographs, links, drawings and/or descriptions you provide us. 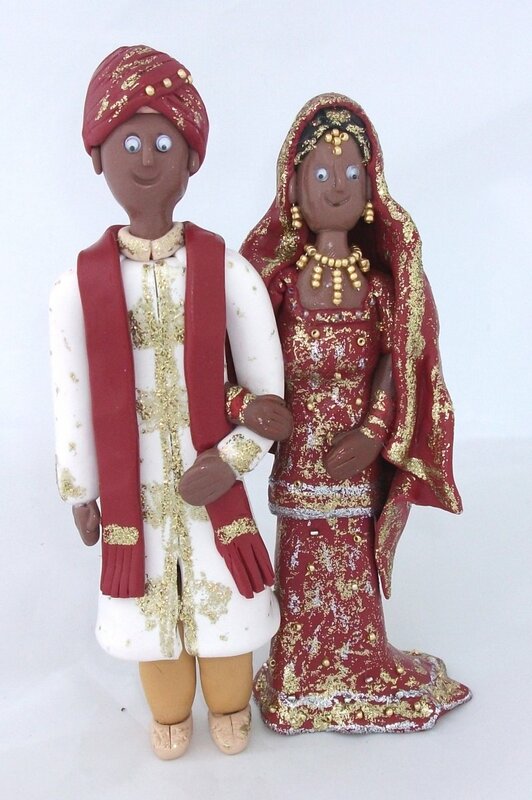 Both Type A and Type B personalised cake toppers can be made with a choice of either google eyes, beads or in some cases painted on eyes. The choice is entirely yours. As beautiful and tasty as your wedding cake is going to look, as soon as it is cut the cake is no longer an important part of your special day and apart from seeing your cake on photographs the memory of it could soon disappear over time. 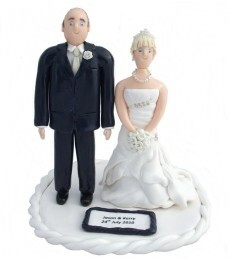 Your guest will no doubt enjoy eating your cake and you and your loved one may not even manage to eat any! On the other hand, your cake toppers that will have been personalised and unique to you alone will be a constant reminder of how you looked and enjoyed your wonderful wedding day. 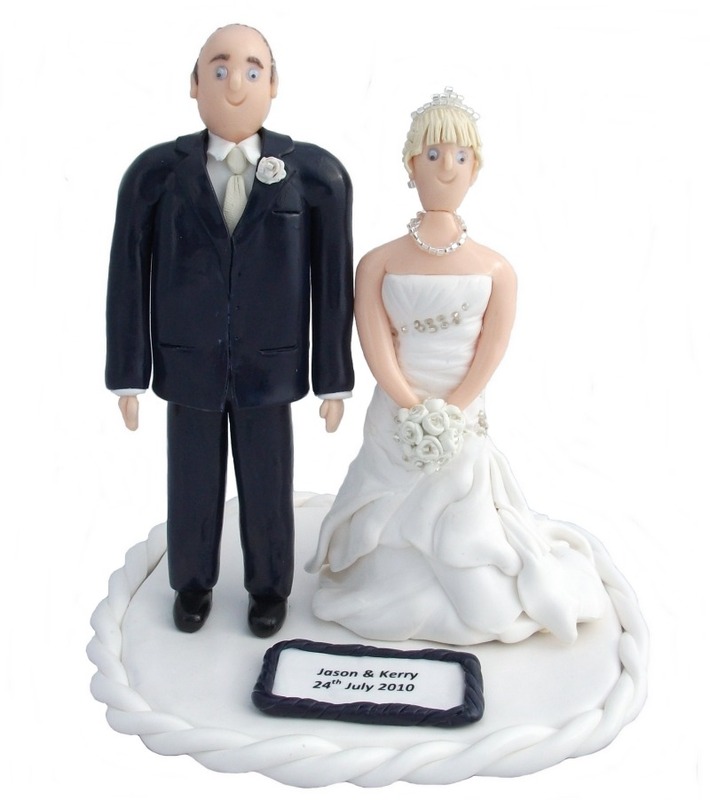 For the price that is less than an average wedding cake our cake toppers will be a permanent memory of your wondrous occasion. 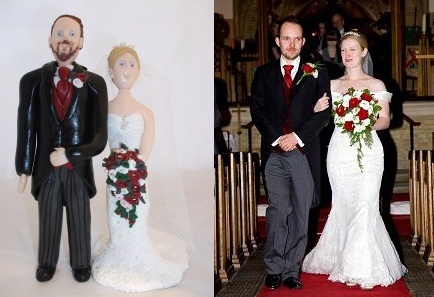 We work with you to make sure you cake topper will be a real likeness to you and your outfit on your wedding day. 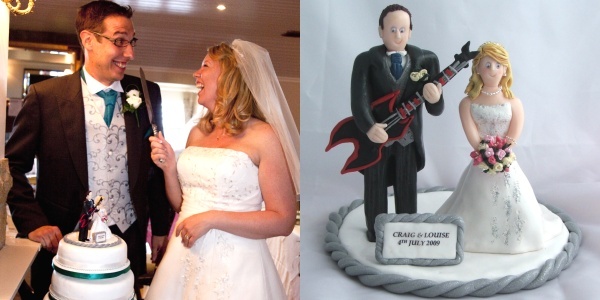 Remember, due to this handcrafting process we are limited to the numbers of cake toppers we can make, Get in touch at toppers@thechaoscompany.co.uk to check whether we can make the top of your wedding cake that little bit special. Once we have your enquiry we will call or email you to discuss things further.